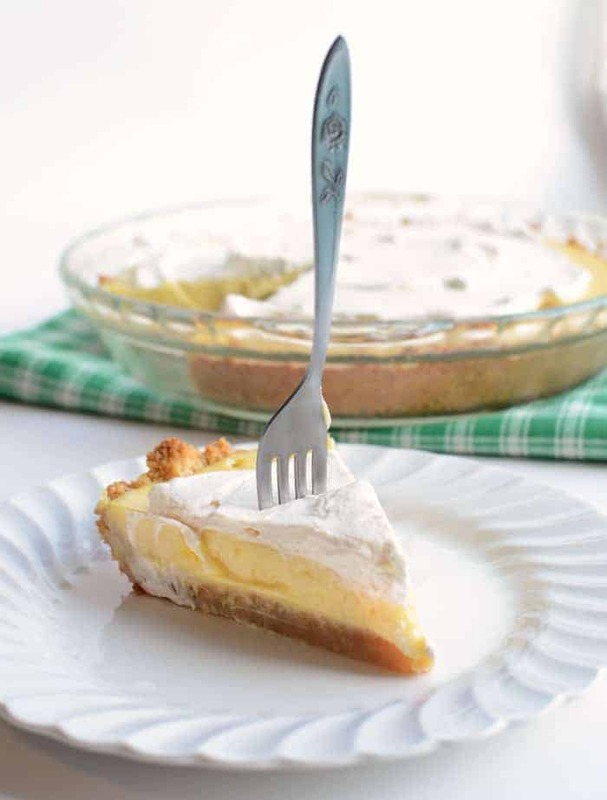 This light, bright lemon pie has a perfect balance of sweet, salty, and sour. Best of all? It’s dead simple to make. A unique crust made with saltine crackers, melted butter, and light corn syrup sets this pie apart from the competition. We use both lemon zest and juice in the custard filling for a bright pop of citrus flavor. Add the saltines and salt to the food processor and pulse until you have coarse crumbs (about 15 pulses). Add the melted butter and corn syrup and pulse until the crumbs are about the size of oatmeal (another 15 pulses). Add the cracker mixture to a greased 9-inch pie plate. Use the bottom of a dry measuring cup or glass and press the crumbs into an even layer on the bottom and up the sides of the dish. Place the pie plate on a baking sheet and bake until light golden brown, 17 to 19 minutes. whisk the sweetened condensed milk, egg yolks, cream, and lemon zest together in a bowl, add the lemon juice and whisk until well combined. With the pie plate on the baking sheet still, remove it from the oven and pour in the filling (the crust does not need to be cooled) and place it back in the hot oven. Bake until the edges of the pie are set but the center still jiggles, 15 to 17 minutes. Place the pie on a wire rack and let it cool completely. Refrigerate the pie until completely chilled. use a stand mixer fitted with a whisk and whipped the cream, sugar, and vanilla on medium low until foamy (about a minute). Increase the mixer speed to high and whip until stiff peaks form, 1 to 3 minutes. Spread the whipped cream over the top of the pie and serve cold. Be sure to measure the crackers by weight. A few packages sell them in 4 ounce sleeves so you’ll need 1 1/2 sleeves to get enough crackers for the recipe. I made this recipe with red grapefruit and it’s delicious, everyone loved it, and asked for the recipe.